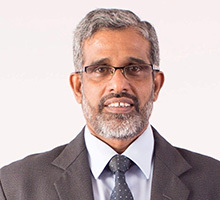 Bank of Ceylon, the largest bank in Sri Lanka, has continued its long-term relationship with Fiserv, and upgraded to the recent versions of Signature (retail core banking) and Teller (a front-end teller system). The bank has also chosen Fiserv’s Communicator to provide integration between Signature and third-party solutions. Fiserv does not have an exclusive contract with the bank. In October 2015, Bank of Ceylon went live on Infosys’ Finacle treasury system (version 11.2.1), in conjunction with its local partner MillenniumIT, the Sri Lanka-based technology company owned by the London Stock Exchange. Finacle Treasury supports FX, repo and reverse repo transactions at the bank, as well as the operations with LKR denominated government securities, such as bonds and treasury bills. Commercial Bank of Ceylon (Combank), a long-standing user of Fiserv’s Signature core banking system, is now extending the vendor’s tech to the front office. Canada-based FirstOntario Credit Union has moved from its legacy Fiserv’s Signature core platform to Temenos’ T24. Validata, a specialist in enterprise software testing and release automation, assisted with the conversion process. De Surinaamsche Bank (DSB), the largest commercial bank in Suriname, is implementing the latest version of Fiserv’s Signature core banking system and DigitalAccess for digital banking capabilities. Sri Lankan bank has signed for Clari5 real-time AML solution.